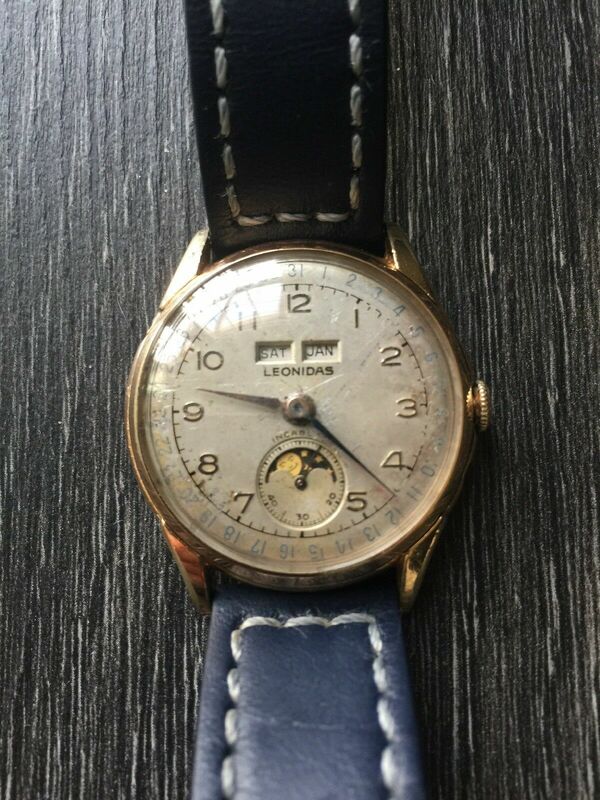 For sale is a vintage Leonidas moonphase triple date watch. The movement is clean. The minute hand does not always work. The watch is missing the date point that goes around the perimeter. All of the date buttons work correctly as well as the moon phase. 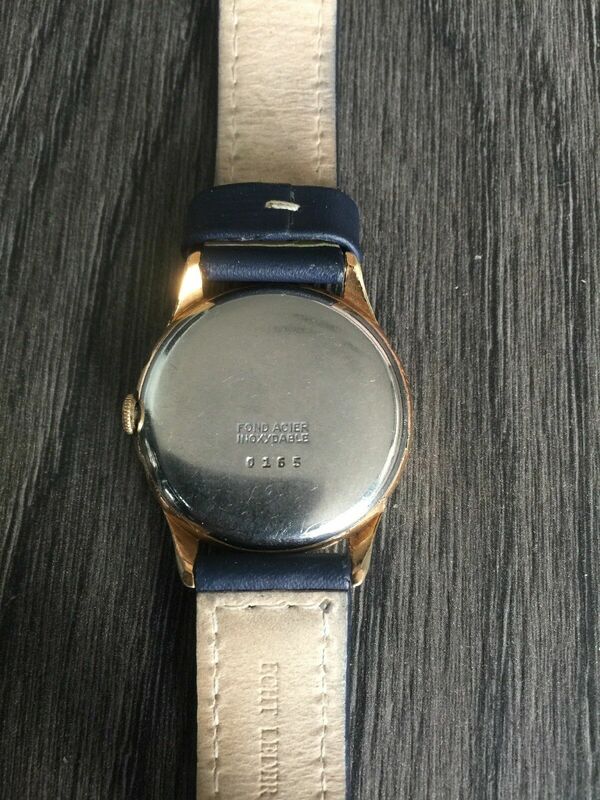 The watch is gold plated, 18 mm lug width. 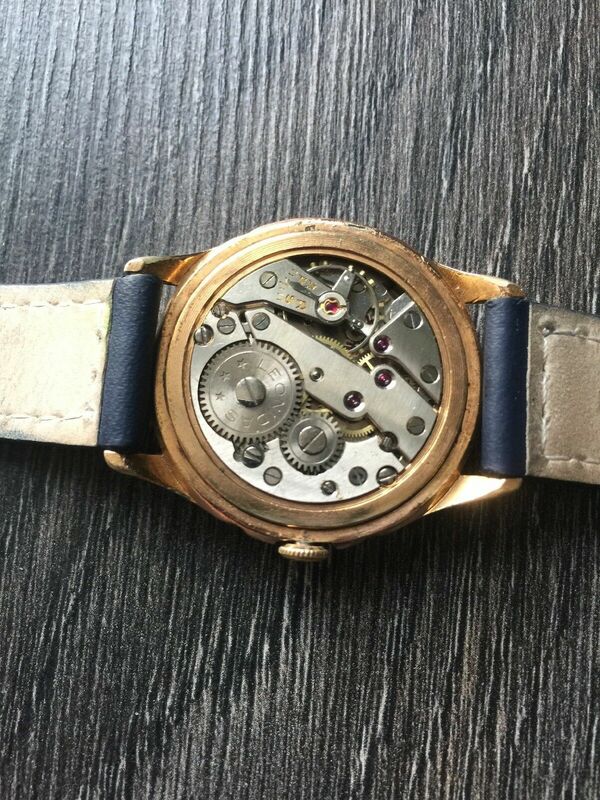 The watch is 36mm. Sold for repairs and parts only. Selling for $400.